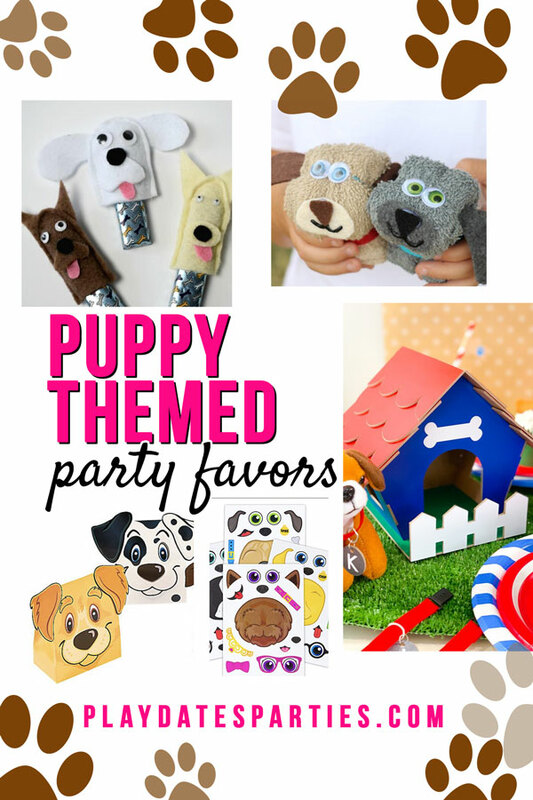 These are the best puppy themed birthday party ideas, from food, to favors, and decorations! Grab your free party planning sheet, and the party will practically plan itself. When a reader recently asked for puppy themed birthday party ideas, I couldn’t wait to jump in and get started. My son is completely in love with anything puppy or dog related. He’s got a dog pillow, at least two more stuffed dogs that he sleeps with, and loves to act like a puppy too. And don’t even get me started on Paw Patrol. Thomas the Train has nothing on that show. 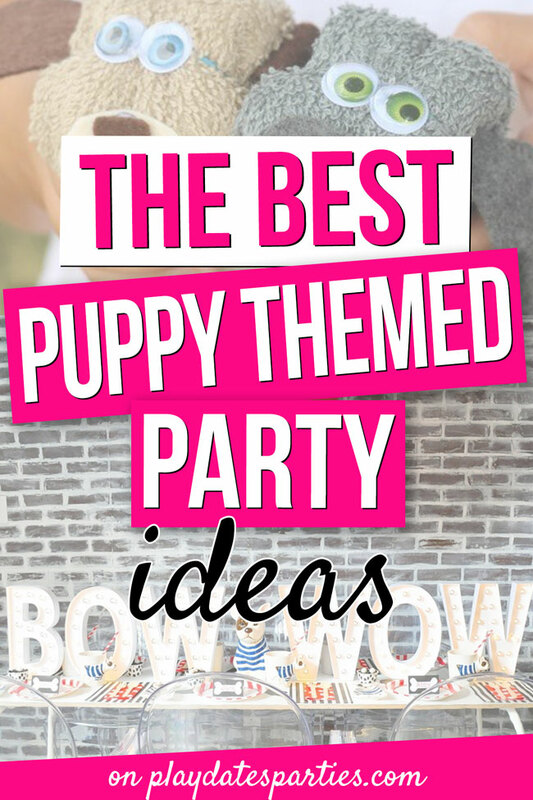 So instead of just gathering a few ideas, I thought it would be best to pull together the best, most epic collection of puppy themed birthday party ideas. I even got a few blogging friends to let me share their best parties with you. 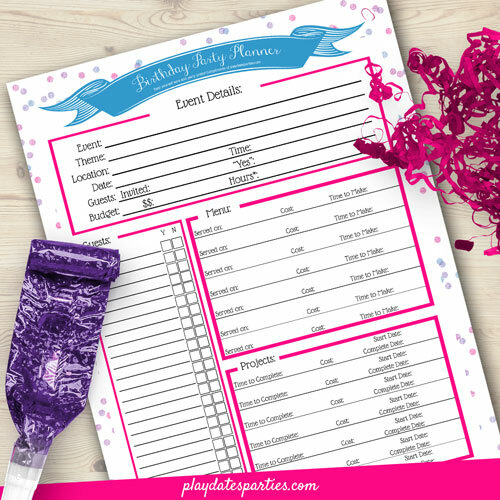 Before you get started, you might want to grab my free birthday party planning sheet. That way, as you go through all these awesome ideas, you’ll can simply write down your favorites. Before you know it, your whole party will be planned! Are you ready? Because this is going to be paw-some! We’re going to have a paw-some time! Come, sit, play, and paw-ty with us today. You’re invited to a pawsh paw-ty! Paw Yeah! Let’s get ready to celebrate! Thank you for making this day paw-some! Thanks for coming to my paw-ty. Having you here made this the ulti-mutt birthday. Puppy hanging lanterns are such a cute way to add some puppy faces to the party. Balloons are such an easy way to decorate on a budget. 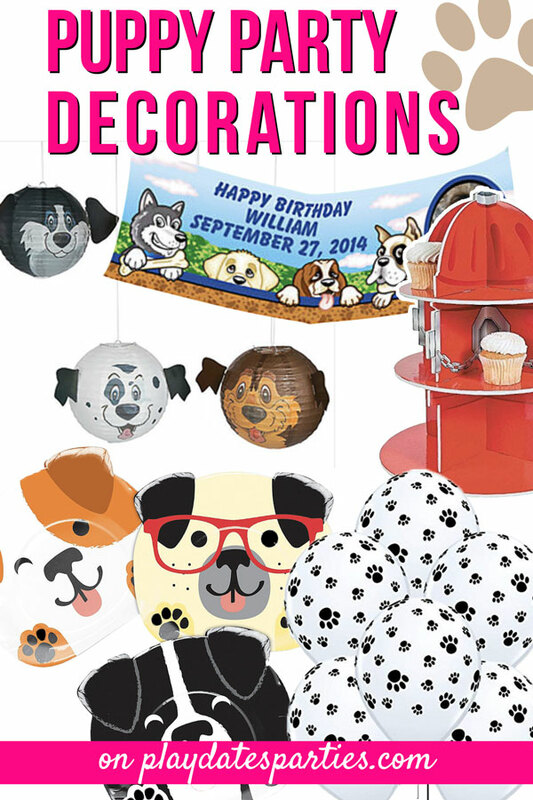 Mix some of these paw print balloons with the rest of your color scheme and you’re set! Anything you serve will be adorable when it’s on these Dog Shaped Lunch Plates. The good news is that puppy themed birthday parties lend themselves incredibly well to party food. You can make treats in the shapes of bones, or go dog-wild getting punny with naming your kids favorite treats. 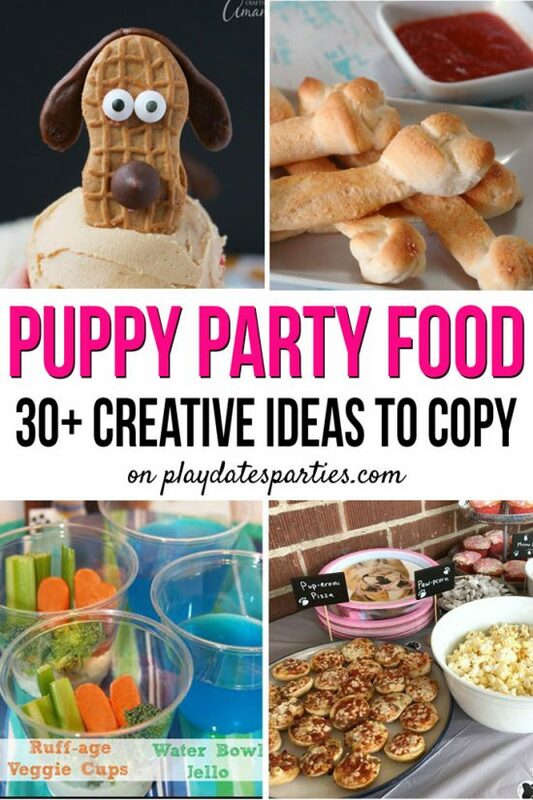 I’ve even got a whole list of over 30 different ideas for unique puppy themed party foods and what to name them! There’s no limit to the activities you can do at a puppy themed birthday party. Of course, there’s the classic puppy adoption center, which is just so sweet and adorable. I’ve even got a free downloadable puppy adoption certificate you can use for your party. Just click here to grab your copy. 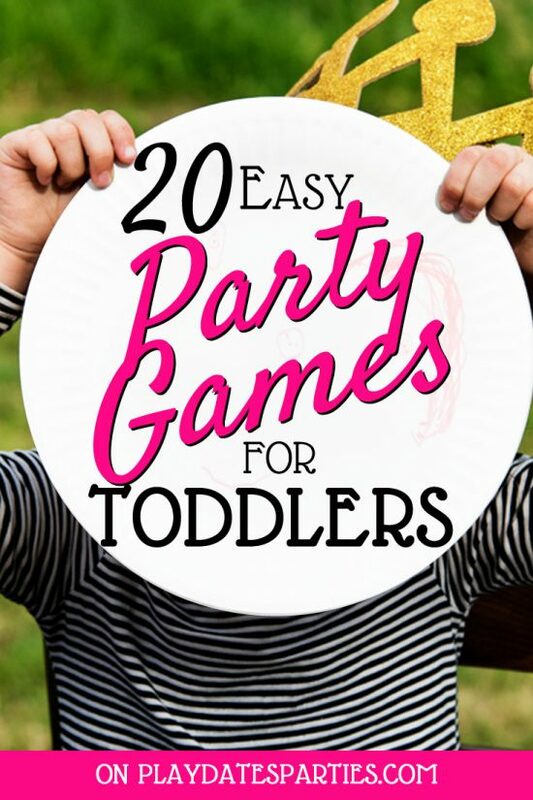 And if you want more party games to play, I’ve also got a list of 18 puppy-themed games and activities for kids to play at a birthday party. They’re even sorted by age range to make planning super easy. Whenever I think of washcloth animals, I always think of cruises. But these Puppy Dog Pals washcloths from Gluesticks Blog are just too cute! Not only would they make adorable party favors, they’d also be so useful, too! I’m not much of a seamstress, but if you’ve got some time before your party, you can make these adorable puppy finger puppets as favors (via Kenarry). Isn’t that little tongue sticking out just the cutest? You can even get an all-in-one favor pack with puppy themed goody bags and gifts all ready for you. Try combining a party activity with favors and have kids decorate white bags with these make a dog stickers to use as bags to take home their party favors. 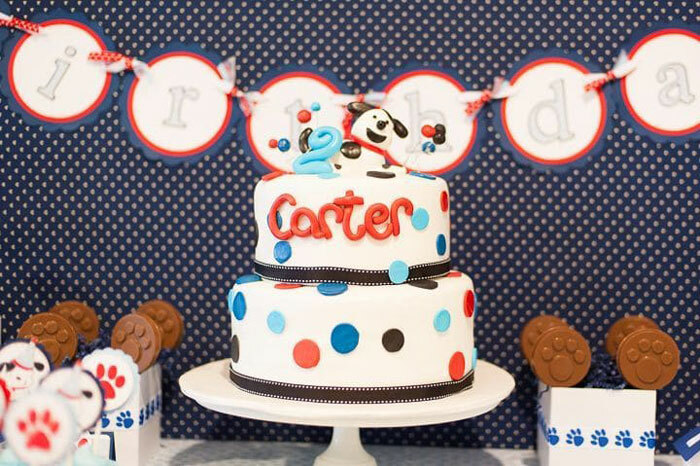 First up is this adorable puppy themed 2nd birthday party pulled together by Cristy of Pretty My Party. 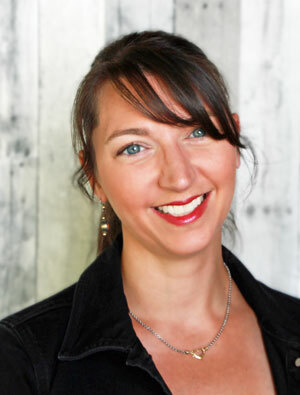 The red and blue theme is just perfect, and it’s a great example of my favorite party planning tip: pick what you do best, and outsource the rest! Now, many people think of little boys when it comes to puppy themed parties, but girls love their little pup friends too! Which is why this super sweet puppy party from Kara’s Party ideas is just too precious to pass up. Not only are the decorations adorable, but they had some fantastic activities for the kids, too. 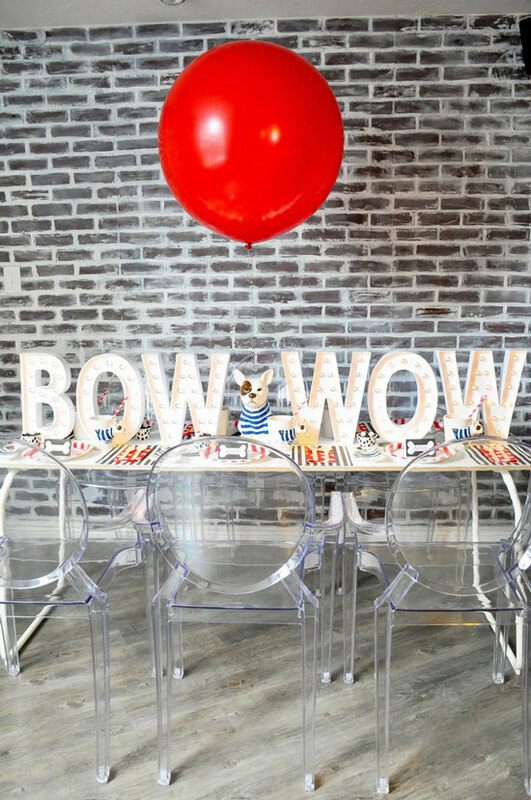 Finally, you don’t want to miss this modern bold French Bulldog themed party from Kara’s Party Ideas. The simple combination of stripes and polka dots is so eye catching. The marquee letters are such a simple way to make a big impact. Feeling inspired yet? 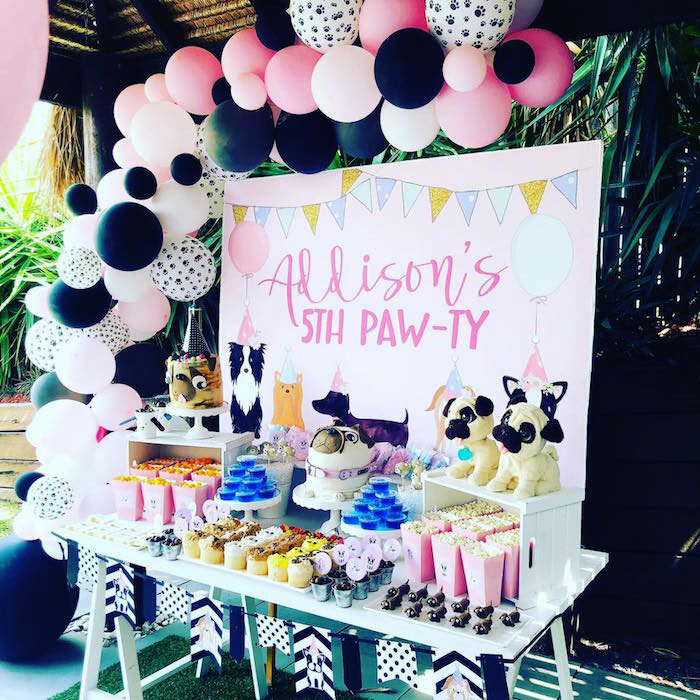 We’ve gone through so many puppy themed birthday party ideas, from catch phrases, food and decorations, to games, and even some real-life inspiration to copy! 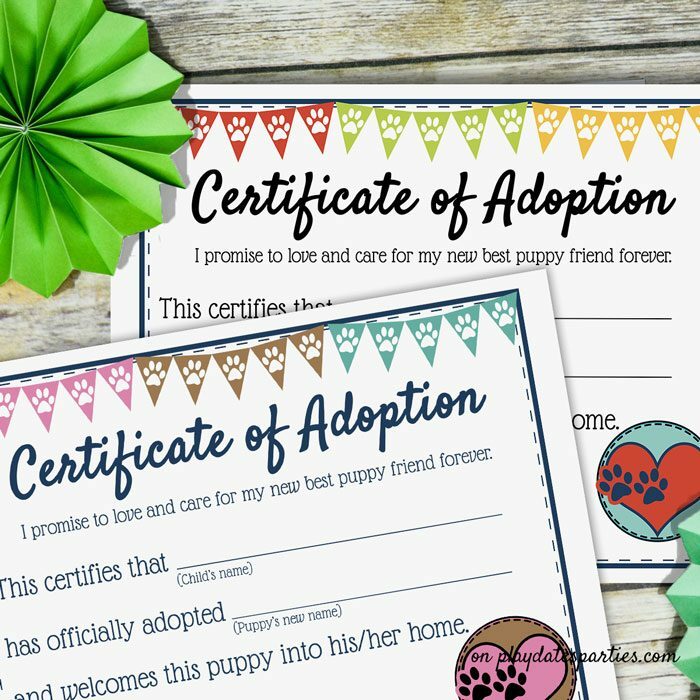 Now you just need to grab your copy of the free puppy adoption certificate, and a simplified birthday party planner to pull it all together! Which of these puppy themed birthday party ideas is your favorite? Are your kids obsessed with Paw Patrol, too?